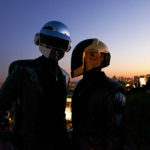 Two decades after their iconic Homework album helped shape dance music as it is today, Daft Punk can most certainly be defined as “legendary.” They remain one of the most talked-about names in music as a whole, and their rare and sporadic activity leaves millions hanging on their every move. The most dedicated fans with some money to spare now have a chance to own an prime piece of Daft Punk memorabilia: Thomas Bangalter’s old Roland TR-909. This drum machine in particular was the one used in “Revolution 909” and other songs from Homework. Vintage & Analogue Occasion will be auctioning off the item, which will come with the original presets of “Revolution 909,” sweetening the deal to the winning bidder. Defected Records posted a demo of the vintage drum machine earlier this year, which can be seen below.